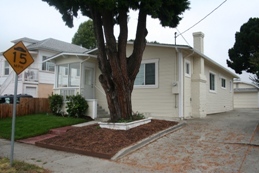 SOLD $309,000 North Oakland Beauty. Lots of Character. New Pergo Flooring, Heating, Fireplace, Formal DR, Built-Ins. Ultra-Spacious Kitchen with Nook. New Range and Refrigerator. Plenty of Closets. Freshly Painted. Huge Detached 2-Car Garage with Half-Bath. Mitts Termite is zero. Close to Everything.